넓은 평지마을 한가운데에 동남향으로 자리잡은 이 집은 윤보선 전 대통령의 부친인 윤치소가 1907년에 지은 것이라고 전하나, 바깥사랑채는 건축양식으로 보아 1920년대에 지은 것으로 보인다. 'ㄱ'자형의 안채와 'ㄴ'자형의 안사랑채가 튼 'ㅁ'자형으로 안마당을 둘러싸고 있으며, 안사랑채의 왼쪽 모서리에 'ㄴ'자형의 행랑채가 이어져 있다. 오른쪽 모서리에는 'ㄴ'자형의 바깥사랑채가 배치되었다. 안채는 부엌이 동쪽에 배치된 것을 제외하고는 전형적인 중부지방의 평면구성을 보이고 있다. 바깥사랑채는 높은 누마루집으로 다른 건물과 별도로 담을 돌리고 대문을 내었다. 중문간은 일반적으로 밖에는 대문을 달고 안마당쪽은 개방되어 있는데, 이 집은 양쪽에 모두 대문을 달고 밖으로 여닫게 되어 있어 특이하다. 행랑채는 안사랑채에 지붕을 아래로 한단 겹치면서 잇대어 짓고 앞쪽으로 솟을대문을 내었다. 행랑채의 서쪽에 있는 부속채는 우리나라 동부지역에만 분포하는 '양통집'이며, 이 지역에서 흔히 볼 수 없는 구조로 중요한 의미를 가진다. 후대에 부분적인 개조가 있었지만 전형적인 중부지방의 구성을 한 상류주택이다. This house, facing southeast, is situated in the middle of the village. It is known to have been built by Yun Chi-so, father of former president Yun Po-sun, in 1907. 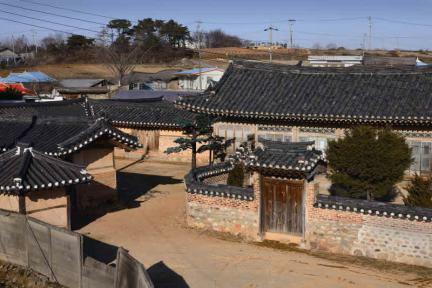 Based on its architectural style, however, the sarangchae (men’s quarters) seems to have been built in 1920. The “ㄱ”-shaped anchae (women’s quarters) and the “ㄴ”-shaped sarangchae form an overall “□”-shaped layout, encircling a courtyard. 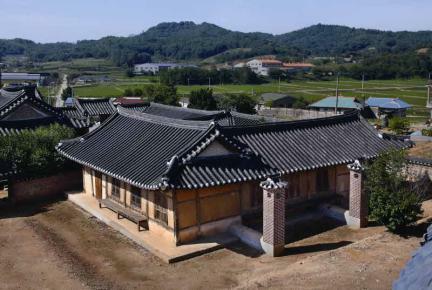 The “ㄴ”-shaped haengnangchae (servants' quarters) is on the left corner of the sarangchae, with another “ㄴ”-shaped sarangchae built on the right corner. 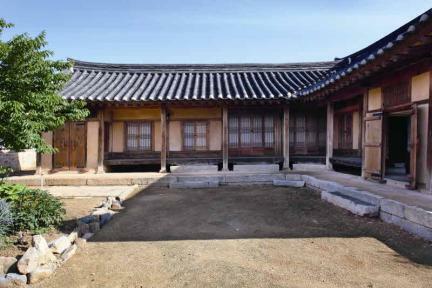 The anchae was built in a typical layout of the central region, except the kitchen being placed in the east. Built in the style of high numaru (wood-floored veranda with a railing), the sarangchae has a main gate and a fence to differentiate the space from other buildings. Most houses have a main gate and a middle gate that are open to a courtyard, but this house is unique since it has two main gates. 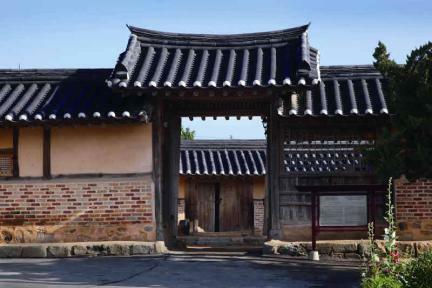 The haengnangchae is connected to the sarangchae by building the two roofs overlapped with each other with a high gate in front. 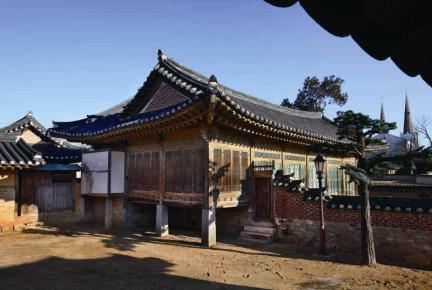 An annex in the west of the haengnangchae was built in "double-wing" style, which is quite rare in this region but is normally seen in the eastern parts of Korea; in that sense, this house has great importance. Although it was partly modified later, this is a typical high-class house in the central region. ※ Viewing of the cultural property above is usually available anytime but may be limited depending on the owner’s personal circumstances.